With 8 years and 2.5 million photos under our belt, we specialize in engaging event attendees with your brand! Let’s work together to create an amazing social-media-driven photo activation. Having a photo booth at a wedding reception has been the hot new thing for a couple years. It provides entertainment and wedding favors for your guests, and the scrapbook becomes your picture guestbook! Many new photo booth rental companies are popping up and they are not all the same. Like every other product or service you are considering for one of the most important days of your life, you will get what you pay for. Here are a few things to look for when selecting a photo booth for your wedding. 1) A Spacious Photo Booth – While the boxy, chuck-e-cheese style photo booth is nostalgic and cute, it is not practical at all. Typically only 2 or 3 people can squeeze into them. You want to be able to get a family or your entire bridal party in the booth for some great action shots! Our 6×6 Velvet Booth fits up to 15 adults! 2) No Branding On The Booth – Many companies have their logo all over their photo booth. How tacky is that? The wedding should be about the bride and groom, not about vendors trying to promote their business to your guests. Our booths are draped in velvet which is perfect for an elegant wedding reception. 3) High-speed Printer – Most photo booth rental companies use slow inkjet printers (45-60 seconds for each print). You’ll end up with a 30 min line at the booth the entire reception and end up with far less photo strips. Companies who use high-speed printers will make a point to mention it on their website and price list. We use a dye-sub printer which prints 2 photo strips in about 10 seconds, and we don’t have to replace the paper and ribbon for almost 4 hours! With this kind of efficiency we can take over 600 pictures during a 4 hour event. 4) High Quality Pictures – Most companies use cheap digital cameras with poor lighting. All you need to do is look at their sample photos. You can also ask for sample prints to be mailed to you. We us a 15 megapixel, wide angle camera with a professional lighting system. Our attendants also have a monitor outside the booth with a live video feed of inside the booth! We can zoom the camera in and out depending on the size of the group in the booth. To my knowledge no other company can do that! Check out our sample photos here. 5) Backdrops – Ask if you have a choice of backdrop colors that will compliment your style. You don’t want to be stuck with a red backdrop if your bridesmaids are wearing green dresses. We have 9 backdrops including 4 new designer backdrops that are used in professional photo shoots! 6) Online Hosting – Make sure your photo booth company has a user-friendly service for hosting your photos. Through our website guests can download their digital images for free, email the pix to others, upload straight to their Facebook and Twitter accounts, order prints (only 50 cents for a 4×6), and order merchandise with their photos on them! 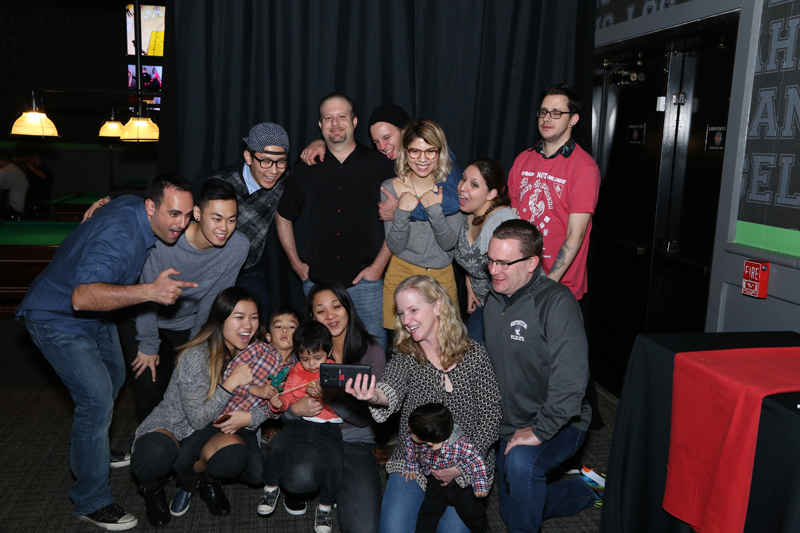 Check out some of our photo booth galleries. 7) Online Reviews – Do some research on the company. Sites like Yelp.com, WeddingWire.com, WeddingChannel.com , and MojoPages.com are great resources for brides. We have over 100 reviews on these sites and have been voted “Best of Weddings” on The Knot for 2011 and 2012! I look forward to serving you and your guests on your wedding day!